Vaughan Dowd, 54, pleaded guilty to a single count of racially aggravated criminal damage. Vaughan Dowd will appear before magistrates in Manchester over the incident in Salford. 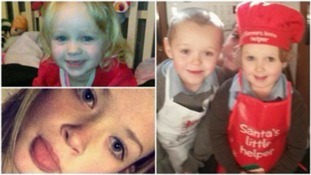 A GoFundMe page was set up by the children's uncle to raise £15,000 for their funerals. The family of four children aged from three to 15 have said they are shattered by the loss in Monday's house fire in Salford. A three-year-old girl has become the fourth child victim of Monday's fire. Two people have appeared in court accused of murder. Police said a young boy died as a result of a collision outside the Ibis hotel in Salford, Greater Manchester. The footage was discovered on a stolen mobile phone shortly after two robberies had taken place in Salford. Three 12-year-old girls are in hospital after taking "Teddy" ecstasy tablets in Salford, Greater Manchester. Police were called to Salford Precinct on Saturday night after reports that a young girl was overdosing, and found two of her friends afterwards. All three were taken to hospital and are now in a stable condition. A man and a woman have been arrested on suspicion of being in possession of drugs and are being held for questioning, Greater Manchester Police said. Detective Chief Inspector Chris Walker said they would be investigating how the children obtained the drugs. He said: "It is imperative young people understand the implications and avoid taking drugs, to stop any more young people ending up in hospital. "We will continue to repeat our warnings in the hope that young people will think twice before taking drugs, after seeing the damage they cause to lives." The ban was issued after residents of Salford Quays complained about anti-social behaviour around the popular waterfront. A 20-year-old woman has died after falling from student accommodation in Salford, Greater Manchester Police said.